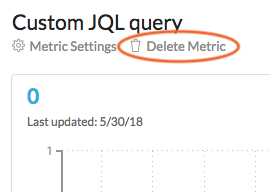 If you delete a combined metric, you will also delete any simple metrics that were uniquely used to create it. However, if the same simple metrics also appear in other combined metrics, or on a dashboard, they will not be deleted. Conversely, if you delete a metric that is being used as part of other combined metrics, the data will be missing from other metrics that depend on the deleted metric. 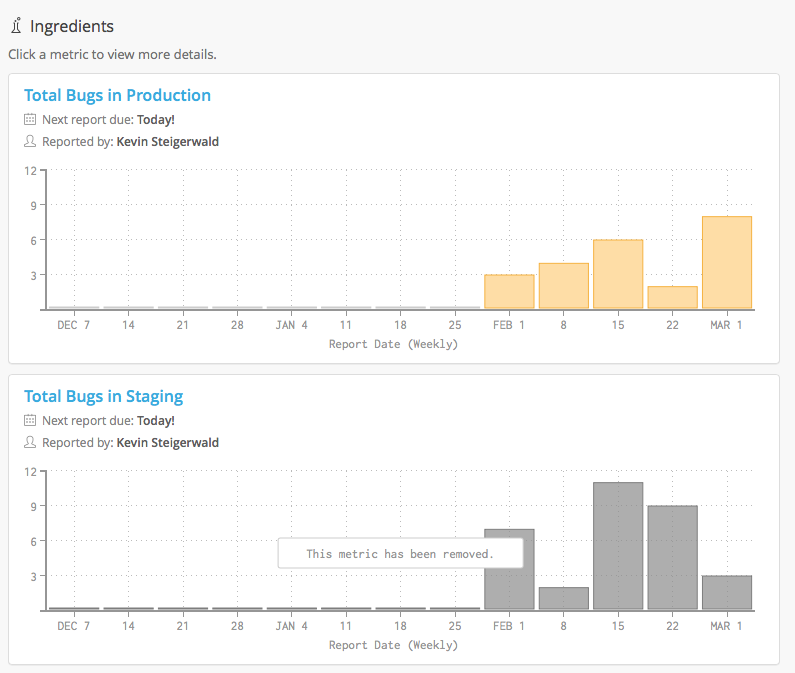 Charts will turn gray and a message will appear indicating that the source metrics have been removed. Open the detail view of the metric you want to delete by selecting it in the directory list or in a dashboard. Next to the metric name, select Edit > Delete metric in the directory. If you are in the detailed view of a metric, select Delete metric just below the name. Select OK, when prompted, to delete the metric.